Exceptional Exteriors has been an accredited BBB member with an A+ rating since 2011. "Our businesses are the heart of the city. We are unique, diverse and sometimes eclectic, yet we all have the same purpose- to be the best at what we do and share our business with our local community and the greater metropolitan area. As a chamber we are dedicated to promoting our member businesses in a manner that builds each business and showcases the best of who our business members are and what their products or services provide." As a GuildQuality Guildmember, Exceptional Exteriors, LLC relies on our customer surveying to help them deliver an exceptional customer experience. We have surveyed customers on behalf of Exceptional Exteriors, LLC in Aurora, CO; Denver, CO; Englewood, CO; Lyons, CO; Morrison, CO; Arvada, CO; Northglenn, CO; Conifer, CO; Littleton, CO; and Loveland, CO. 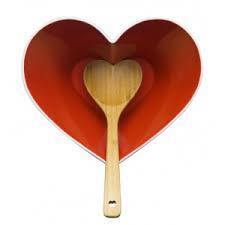 Feeding America has one mission: To help end hunger. As the largest domestic hunger-relief organization, they have about 200 donation banks across the country.  Owens Corning and the Platinum Preferred Contractors want to give something back to the troops that bravely serve our country, and the families who support them. The Roof Deployment Project is our way of building for the future, together. Stout Street Foundation was created to "help people help themselves" and provide service and support to those in recovery of substance abuse. SSF has structured programs and a therapeutic environment geared toward helping those who strive to transition to a healthy lifestyle. The Wounded Warrior Project was created to help empower and assist veterans who have been injured during international conflicts. Exceptional Exteriors is happy to contribute to the cause.